The D-Wave 2X quantum computer Google will use can test as many possibilities, at once, as there are particles in the universe. D-Wave Systems said Monday that the company has signed a seven-year deal with Google, NASA, and the Universities Space Research Association to supply D-Wave’s quantum computers as part of an ongoing investigation to see whether they could be used as the next artificial intelligence platform. Installation of a new D-Wave 2X system was recently completed, the companies said. The system, now operational, includes a 1000+ qubit quantum processor. “At 1000+ qubits, the D-Wave 2X quantum processor evaluates all 21000 possible solutions simultaneously as it converges on optimal or near optimal solutions, more possibilities than there are particles in the observable universe,” the company claims. Quantum computers will use qubits, or quantum bits, which rely on laws of quantum mechanics to achieve various states. Transistors use one of two—they can be either on or off, in one of two binary states. Qubits, however, can hold multiple states simultaneously, meaning they can be a 1 or a 0, or both at the same time. That could allow them to perform multiple calculations in parallel, vastly increasing their processing power. Still, there’s at least one thing that makes quantum computers a challenge: According to D-Wave, the qubits require an operating temperature below 15 millikelvin, near absolute zero and 180 times colder than interstellar space. Why this matters: For years, some skeptics actually considered D-Wave a likely gigantic hoax. With NASA, Google, and others taking a hard look at it, the technology should probably be considered legitimate. But whether it can improve over conventional microprocessors—or even form the foundation of an improved form of AI—remains to be tested. In 2014, Google actually said it was taking a shot at designing its own quantum processor, in conjunction with UC Santa Barbara. Hartmut Neven, director of engineering for Google, is also head of its Quantum Artificial Intelligence Lab. But the gigantic search company is apparently hedging its bets. Lockheed Martin has also purchased a D-Wave system in the past. 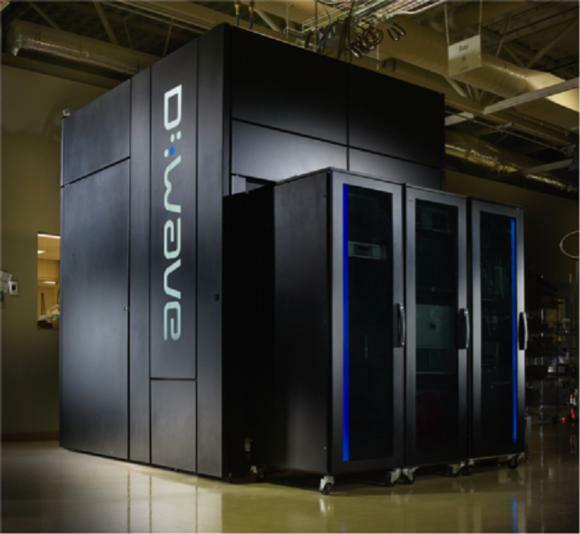 NASA and USRA have already been using a 500-qubit machine, known as the Wave Two, at the Ames facility since 2013. The machines was used “to explore the potential for quantum computing and its applicability to a broad range of complex problems such as web search, speech recognition, planning and scheduling, air-traffic management, robotic missions to other planets, and support operations in mission control centers.” Google's got its hands in many of the same areas and likely wants to improve Google Maps and other services—and maybe even go beyond. D-Wave said in a statement that the order was the largest in its history, and the most important in getting the little-understood technology off the ground.